Birthplace staff recently organized and uploaded two collections documenting efforts to enact land value taxation and spread the ideas of Henry George in Australia and New Zealand. 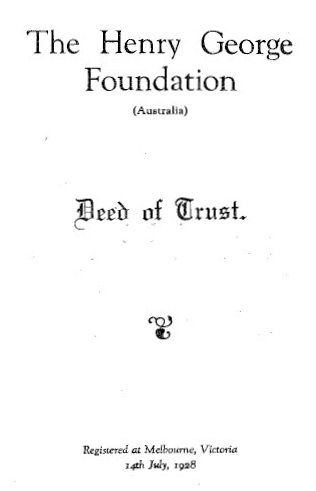 The collections – Australian Single Tax and Henry George Organizations, 1925-1992 and The New Zealand Land Values League and Related Material, 1896-1992 – feature material from a variety of groups and individuals committed LVT in Australia and New Zealand including Prosper Australia (formerly, The Single Tax League of Victoria), The Henry George Foundation of Australia, The Single Tax League of South Australia, the New Zealand Land Values Group, and several others. Single Tax and Henry George Leagues began to appear in Australia in the two decades after the publication of Henry George’s 1879 classic work, Progress and Poverty. 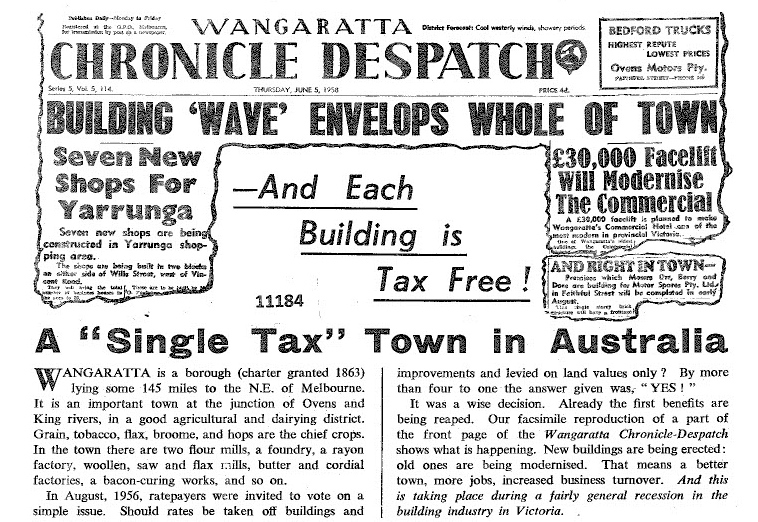 One of the earliest groups to advocate for a single tax on the value of land was the Land Nationalisation Society of New South Wales. Established in 1883 by Ignatius Bell and William Dickinson, the Land Nationalisation Society began as a discussion group which supported the single tax among other methods for making the land the common property of all, instead of the private property of a few. The Society grew rapidly during its first few years and spread to other cities. In 1887, it expelled the non-single tax members and in 1890, became the Single Tax League of Victoria. While on a speaking tour in England in 1889, George met Charles L. Garland of the New South Wales Parliament and President of the Single Tax Club of NSW. Garland convinced George to visit Australia, which he did with his wife Annie in March of 1890. Over the course of three months, the Georges’ visited 34 cities and towns where Henry George lectured on the single tax, free trade, and the duty of the Christian churches to help eradicate poverty through social and political reform. George’s speeches were well attended and received largely positive reviews in the local and national press. Following his visit, dozens of single tax and Henry George leagues formed, many of which are still active today. I have already read a large part of the book. I regard it as one of the ablest works on the great questions of the time, which has come under my notice. It will be of great use to me…It has cheered me much to find that there is so able a man working in California, upon subjects on which I believe the whole future of mankind now mainly hangs. 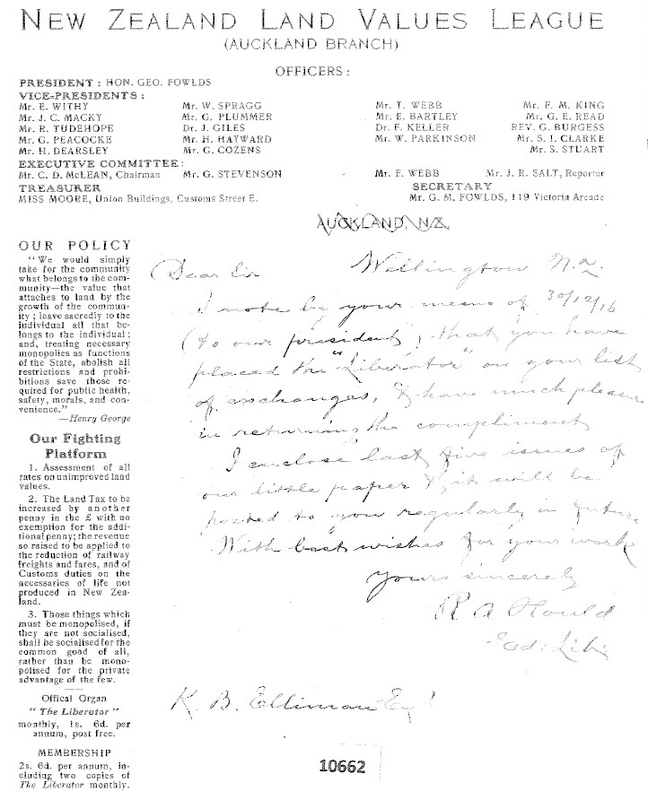 The two men carried on a correspondence for the next decade and finally met in person when George and his wife visited Auckland on their way to Australia in 1890. The National Single Tax League of New Zealand formed soon after the Georges’ visit. It later became known as the New Zealand Land Values League.